For as long as I can remember, I wanted to be a writer. I was the little girl who grew up across the street from a public library and devoured books as fast as I could check them out with my library card. I still can recall that exhilarating feeling as I dove into a Nancy Drew mystery or one of my favorites, Little Women. As a teenager, I fell in love with romance novels. I think the idea of happily ever afters made me feel as if all was right in the world. As an adult, I realize that’s not always the case. We live in a world where there is pain, sickness, suffering, war, poverty and so many more issues that aren’t uplifting. Although I write in the inspirational market, my books also qualify as sweet romances. As a writer, I can create a sense of peace and love. The world that my characters inhabit is a world that I create, so I have the power to incorporate all the characteristics that are important to me. Writing sweet romance allows me to create happy endings in a world where happiness doesn’t always triumph over the bad things. It’s really gratifying when I received correspondence from a reader who lets me know that my book helped them through a hard time or gave them a heartwarming feeling when they read my words. It lets me know that the path I’ve taken is the right one. I also enjoy writing romances where the characters respond to each other on an emotional level rather than one of physicality. Of course attraction is important, and I make a point to portray the chemistry between the hero and the heroine. But for me, I enjoy the sweet heat level. I actually think it’s harder to write a romance where the couples aren’t intimate because the intimacy has to be portrayed through dialogue and experiences, as well as the intensity of the characters. You have to build a bridge between your characters and increase the depth of their connection. I love the idea that a teenager (much like my teenaged self) can pick up a sweet romance and read it without being subjected to overtly sexual content or material that is way over their heads. That means the world to me. They can still get a romantic read without squirming or feeling as if they’re reading something they shouldn’t be! When you write sweet romance there’s a promise that the content will be appropriate for teenagers and above. When I attended an event at my daughter’s school she introduced me to a new friend and unbeknownst to me, my daughter had given her a book of mine to read. It was wonderful to hear from the young lady about how she loved the book and enjoyed reading heartwarming love stories. 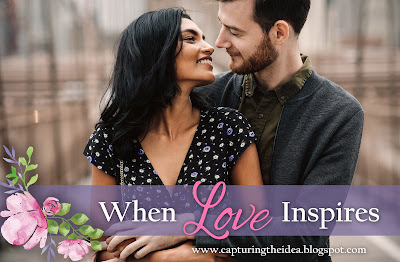 Writing sweet romance is perfect for me since I love creating emotional reads that leave the reader feeling as if they’ve been on an uplifting journey with the characters. I feel very fortunate each and every day to be able to send these stories out into the world. 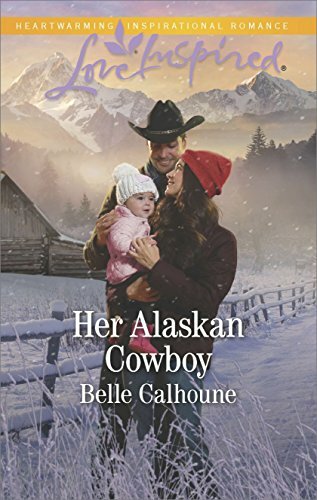 Belle Calhoune is a Publisher’s Weekly Best-selling author and a member of the RWA Honor Roll. She grew up in a small town in Massachusetts as one of five children. Although her mother was a doctor and her father a biologist, Belle never gravitated toward science. Growing up across the street from a public library was a huge influence on her life and fueled her love of romance novels. Belle is the author of ten Harlequin Love Inspired novels with four more contracted. She has indie-published the popular and best-selling inspirational romance series "Seven Brides, Seven Brothers." 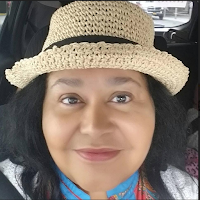 She was the first author to create a diverse Christian romance series. The Secrets of Savannah and Pelican Bay are both spin-offs of her debut series. Belle loves writing romance and crafting happily ever afters. When she’s not wrangling her two high maintenance dogs or spending time with her husband and two daughters, Belle enjoys travel and exploring new places. Back in Love, Alaska, Joshua Ransom comes face-to-face with ex-fiancée Honor Prescott. A single dad of an infant daughter, Joshua’s no longer the reckless cowboy who broke Honor’s heart. But discovering he’s selling his late grandfather’s land to developers puts them at odds. With the Diamond R’s fate unclear, so is their future. Will this second chance lead to Joshua being one of Love’s Alaskan Grooms? I LOVE the Seven Brides, Seven Brothers series. I am currently on book 3 in the Pelican Bay series, and I have been staying up late reading past my bedtime ever since I started the series! I am grateful for Mrs. Calhoune's God-given gift of writing. Thank you Alexis for having me on your blog!!! You're welcome, Belle! :) Thank YOU for being my guest. Thank you so much for the chance to win would love to read this book!